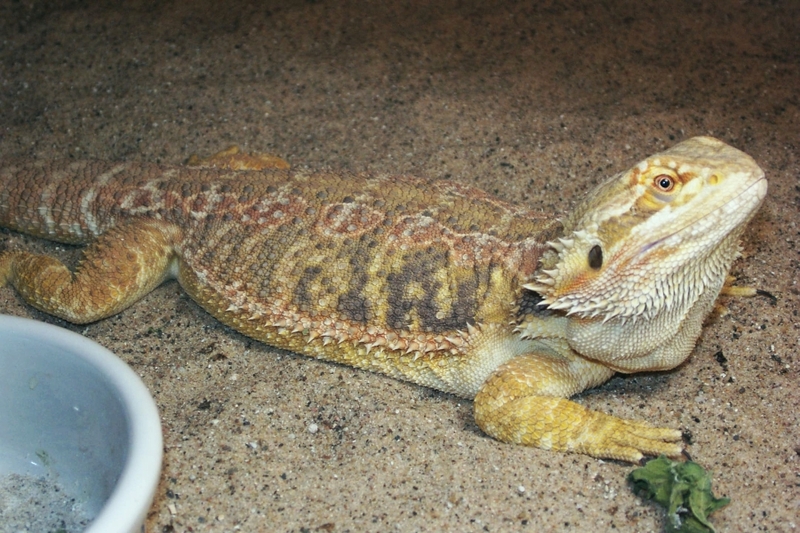 I am a hobby breeder of bearded dragons located here in Southeast Michigan. 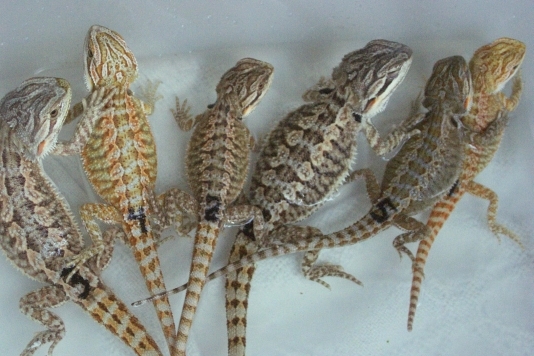 I have been involved with bearded dragons for awhile now and will be producing only top quality dragons. 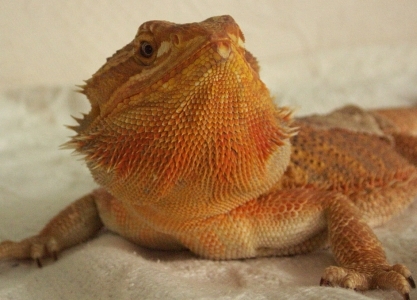 My goal is to produce dragons with intense full body colorations specializing in super reds, orange, and hypo pastels. While breeding intense colors into my dragons is my goal , producing healthy dragons is my number one concern. 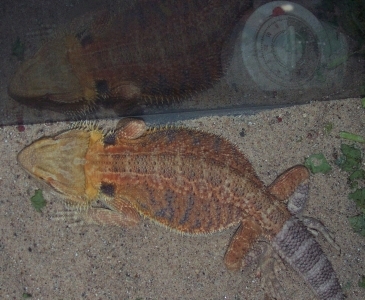 My dragons are exposed to UVB rays thru mercury vapor bulbs and UVB Mystic bulbs. I believe this helps to stimulate the growth of thick strong bones and helps beardies to reach their full size and color. 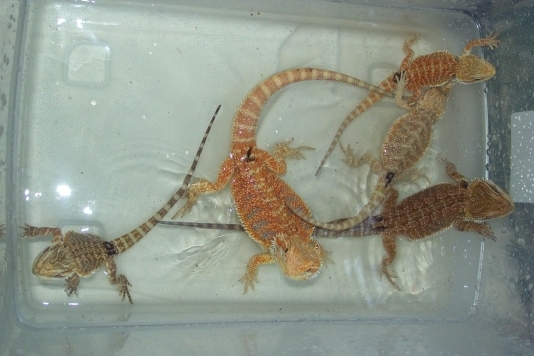 They eat a diet of mixed leafy greens, fruits, crickets, superworms and silkworms with an occasional wax worm as a treat. I have stool samples checked by a licensed veterinarian yearly to keep parasites out of my breeding stock. Hatchlings are given Parazap from day one to keep parasites away. 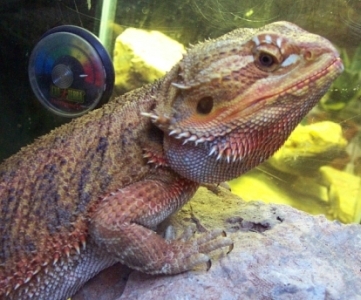 My dragons are not "breeding stock" to me... they are my pets and members of my family. 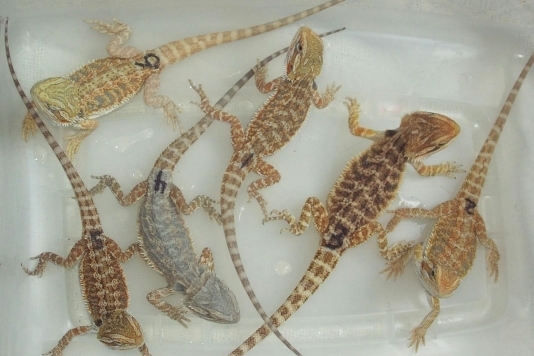 On occasion, when I have hatchlings available for adoption, I will post them here along with their adoption fee. Breeding dragons takes not just time and care but can be VERY expensive. Because of this I have started to produce my own silkworms. My fellow reptile owners and breeders, having heard this, have asked me to grow silkworms for them too. I have since expanded this so that I can offer them to anyone who needs them. The money raised from silkworms is put directly back into defraying the cost of my hobby. Worms are sold in self contained cups and are aproximately 1/2 inch to 2 inches at the time of sale. One 12 count cup complete with enough food for one or more weeks are $9.00 each! Buy two or more cups for $8.50 each! Dry food that you can store and make as you go comes in $5 and $10 bags with instructions. If you wish to reserve any please e-mail me asap and I will let you know what I will have. This a future breeding that I am planning. I hope to pair these two up in January. If all goes well there should be babies available late spring or summer of 2009! Sparky is the #7 in the baby pictures shown below. He is a clear nailed Hypo Pastel from Talon X Jewel. Gem is from the Flame X Sandy pairing. Her coloring is just like her Dads. Check out my breeders page to find out more about these two future first time breeders. Watch for updates here about eggs and hatchings. These are some of the babies from past breedings. All have been adopted out but I have left them up and on my "available" page for your viewing pleasure!